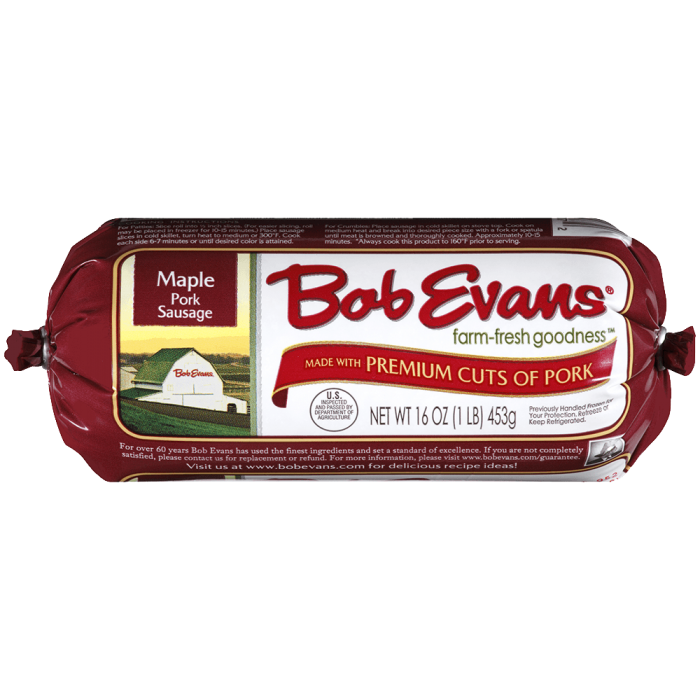 Maple sausage adds a sweet touch to this new take on breakfast. Try this quesadilla with a citrus salsa! Crumble and cook sausage until brown; drain and set aside. Place two tortillas in heated 12-inch skillet. Evenly sprinkle cheese over the top of flour tortillas; place scrambled eggs on top of cheese on one tortilla. Evenly distribute the cooked sausage over the eggs. Allow cheese to melt. Place second flour tortilla with melted cheese on top. Remove from skillet; cut into six equal wedges. Serve with guacamole, sour cream and salsa. Refrigerate leftovers. 1 Crumble and cook sausage until brown; drain and set aside. 2 Place two tortillas in heated 12-inch skillet. 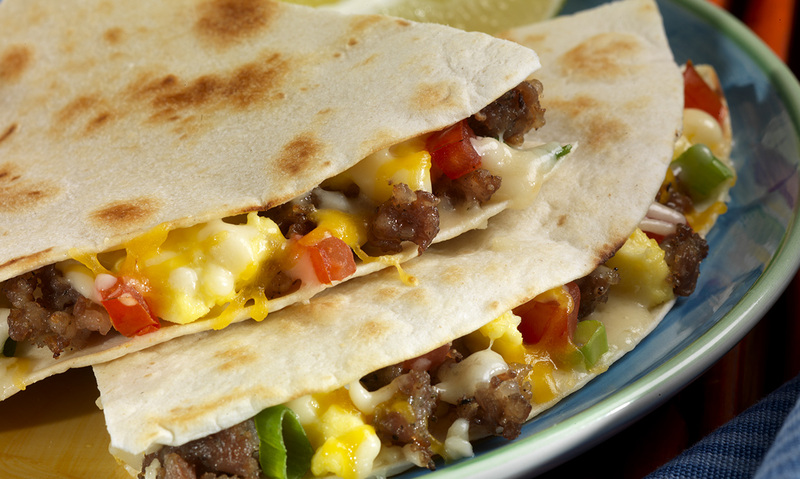 Evenly sprinkle cheese over the top of flour tortillas; place scrambled eggs on top of cheese on one tortilla. 3 Evenly distribute the cooked sausage over the eggs. Allow cheese to melt. 4 Top with diced tomatoes and green onions. 5 Place second flour tortilla with melted cheese on top. Remove from skillet; cut into six equal wedges. 6 Serve with guacamole, sour cream and salsa. Refrigerate leftovers.